My mom died March 15, 2017 and I didn’t know who I was without her. I spent my whole life being my mother’s daughter. We were a team. The next months following her death, I was lost. I wasn’t sure how I could go through life without her by my side, reminding me of who I am. At that moment, two cross roads appeared. At one turn I could take the road of convenience and suffer through the trauma of my mother’s death. The other road would take courage, vulnerability, and an undeniable resilience of knowing myself. I took the latter road. Two years later, I still find traumatic experiences within my situation; however, I have transformed into the person I have always wanted to be. I wouldn’t be able to do this without the personal growth that I decided to take. Thanks to personal development I have found the meaning of my existence more so in each and every day than in the past, even before my mom died. I am happier and I show up for myself and for my business in ways I couldn’t imagine. This is what the last two years of my personal development has looked like in a small nutshell of 3 life lessons. This is huge. Let me repeat, this is huge! 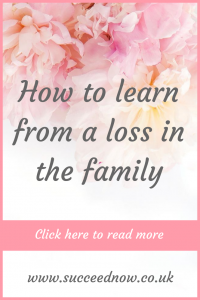 I’ve noticed that I wasn’t mothering myself as much as I should, even when my mom was alive. Mothering yourself is defined as nurturing yourself and resting with the intent of healing any negative thoughts. In addition of taking care for myself, in the way my mother would, I found I could heal myself from negative thoughts by taking the time to be present in each and every moment. The more present I am, the more I see the world around me which allows me to find gratitude in the small and memorable moments life has to offer. I no longer believe it to be selfish to take time out of my day to do nothing. I now give myself permission to only follow what brings me the most happiness in each moment, and sometimes that’s doing nothing at all. In my opinion, society has lost faith in being still for fear that one is not worthy enough to take a break from their ‘hustle’. I don’t know about you, but hustle has never brought me happiness or success. It’s actually in my quiet moments that I get the greatest ideas. When my mom died, the universe took the greatest thing away from me, my mother. If you’re a daughter and have a close relationship with your mother, you know what I’m talking about. My mother and I spoke on the phone at least 6 times a day. AT LEAST! We were like The American TV show, Gilmore Girls, except without the ditzy drama. When there’s a void in your life, humans will do anything to fulfill it. I replaced the death of my mother with the creation of my business and entrepreneurship. Because I always knew I wanted to go into business for myself. I was given a big push to quit my job based on the fact that I had a big inheritance and a willingness to take charge in my life so I wouldn’t have to live with any regrets. I had the normal but naive belief that the universe would help my business take off based on the fact that it owed me big for taking my mom away from me. The universe owed me nothing…….. That’s a hard metaphorical pill to swallow. The fact of the matter is that the universe really didn’t owe me anything, I owed myself. I owed myself my own personal development and well being. 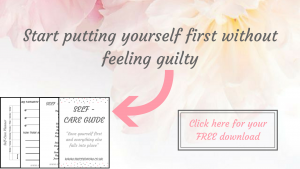 It’s my sole responsibility to take care of myself. The universe didn’t owe me success. I owed myself to find what truly pleased me in life and in business in order to become more in alignment with my soul purpose. It’s for this fact that I put myself first in almost every situation. Some may find that selfish but I call it self love. In fact, the more I put myself first, the more people around me see my journey and want to follow my lead. I’ve learned this lesson time and time again. But I can say now, I have truly mastered knowing the beauty of my heart and how much worthy it is over my mind. The simple fact that I thought the universe owed me, unknowingly preempted the way I was creating a business for myself; from my head and not my heart. I thought it was better to create from a place of security than passion. It wasn’t until later that I understand that these thought patterns stemmed from having a distrust for my heart. How could I trust my heart when it let me down during my mom’s passing and the business side of my mom’s death won (inheritance). I thought it was safe to create a business with the false belief that the mind can win. Working from the mind is useful but if it’s without heart, it’s useless. Trusting the heart doesn’t come easy, it’s a process. It takes time to come into the ability to trust something that was distrusted for a long time. The decision to hire a coach and receive acupuncture has helped me better trust my heart when it comes to aligning with a strong foundation of operating a business, day in and day out. A coach will allow you to replace the negative thought patterns and processes with a healthier way of living your life for total fulfillment. Adding acupuncture into that mix has allowed for the body to actually digest what I’ve learned from my coach. If the heart is not aligned to what you’re doing, then a stable foundation for life/ business can not be made. People say that death is not linear which is what I found to be true. How one person grieves is going to be different than another. However, no matter who you are, death can actually be seen as a gift if you allow it to be. I’m not talking about the material items; however, the beautiful meaning of death. The careful dance between joy and tragedy. There is potential for the griever to come to a point in their life where death is seen as a beautiful celebration to a life well lived. The impact on what death means for each and every person can be monumental and change a life. 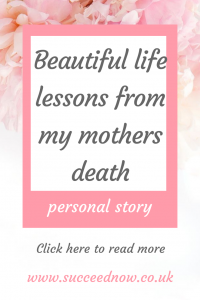 The death of my mother changed my life and I’m so in awe of its magnificence that it has made living so much better. Danielle Kean Grassi is a Self Fulfillment in Business Coach, helping leaders turn their followers into a tribe by using a holistic approach. She specialises in helping these leaders with anxiety and creative blocks while showing that it’s ok to dissolve their old self to evolve into a greater version of themselves. Danielle lives in Maryland, USA, with Husband Matthew. Feel free to join our closed Facebook Group, Women Entrepreneurs Empowering Leaders.